MIFTAH recently completed work with three ministries in the social sector aimed at influencing fiscal policies with the view of contributing to the realization of social justice. 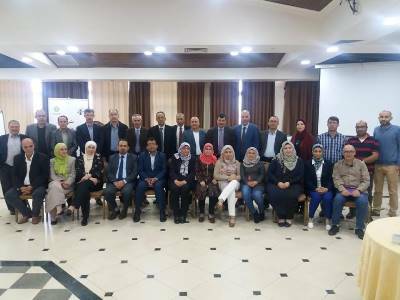 The intervention program took place within the framework of the Oxfam-funded project “Finance for Development” carried out by MIFTAH in partnership with AMAN and ARIJ. The three ministries involved were the Ministry of Social Development, the Ministry of Education and Higher Education, and the Ministry of Health, which are the most closely associated with citizens. A partnership was forged with them to facilitate the adoption of standards of international transparency for public budgets through publishing citizens’ budgets and ensure the implementation of sustainable interventions. The citizen budget is a simplified version of the public budget of any given ministry, which summarizes the policies, approaches and priorities of that ministry for the upcoming year. The importance of such a budget is in promoting transparency in the public budget and government spending, to open the door for dialogue between civil society and official institutions and to enable citizens to hold authorities’ accountable vis-à-vis their declared obligations. 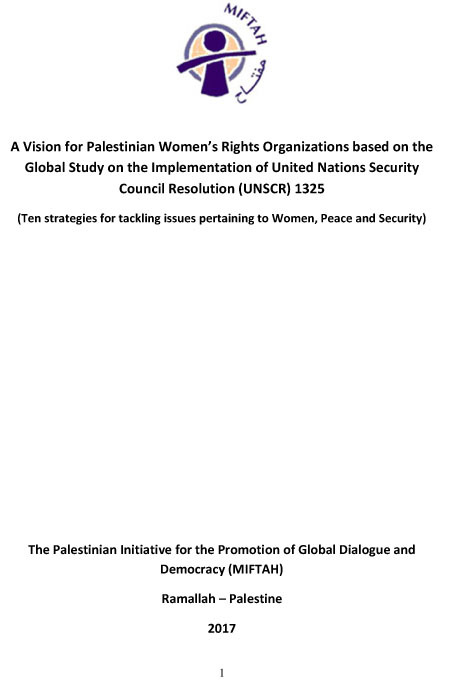 Prior to MIFTAH’s interventions, the Ministry of Finance and Planning had been publishing a voluminous and massively complicated public budget law annually that is not easily accessible or understandable by ordinary Palestinian citizens given its complicated tables and highly specialized language. Course of action with the three ministries According to Muayyad Afaneh, project consultant and expert in participatory budgets and standards of international transparency for public budgets said, “Work with the Ministry of Social Development began in 2015,” corroborating Tamimi’s statement that the goal of this was to impact government policies towards more transparency in social-related ministry budgets. He said one of the goals was for “employees in the planning and budget departments to acquire skills and expertise in preparing the citizens’ budget given that this is one of the criteria of international transparency of public budgets.” He said this was achieved, thanks to much cooperation, through a training course for the budget and planning teams in the ministry. This was followed by practical training to internalize concepts, skills and knowledge among the trainees. “This intervention was successful in achieving the 2016 Citizens’ Budget for the Ministry of Social Development for the first time in Palestine,” Afaneh said. In 2017, cooperation between the Ministry of Social Development and the Ministry of Education continued whereby expansion was again horizontal with the Ministry of Health and according to the same methodology. This resulted in the successful production of the 2018 citizens’ budget for the Ministry of Social Development for the third consecutive year, the Ministry of Education and Higher Education for the second year and the Ministry of Health for the first time ever in Palestine. 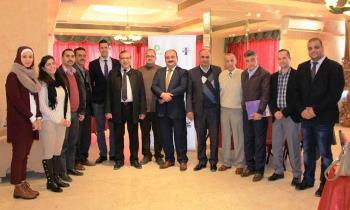 Expansion was also vertical with the Ministry of Social Development through the preparation and publication of a guidebook on preparing the ministry’s citizens’ budget, which also serves to ensure the sustainability of the interventions with the ministry and provide them with a reference document for preparing and publishing the citizens’ budget. 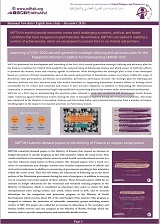 Furthermore, the Ministry of Social Development began working according to the methodology of participatory budgets for the first time in Palestine, through building the capacities of the joint planning groups with the necessary knowledge, skills and expertise to apply participatory budgeting in the ministry. The main success of this process was to localize the interventions and institutionalize the adoption of standards of international transparency in the targeted ministries as opposed to being a passing project. The success was in issuing the first citizens’ budget in the history of Palestine for three ministries so closely associated with the citizens and, in turn providing a space for dialogue between civil society organizations and official institutions in order to impact fiscal policies and contribute to increasing their responsiveness to citizens’ needs. The localization of interventions was a reflection of MIFTAH’s philosophy to empower the official establishment within the framework of strategic partnership with necessary skills and knowledge, which contributes to promoting the political will to adopt standards of international transparency for ministries and hence reflect these in regulations, measures and strategies. The peak of MIFTAH’s success with the Ministry of Social Development is the inclusion of the citizens’ budget and its preparation in a participatory manner with all relevant sectors, in the social sector’s strategic plan for 2017-2022. This was accomplished in a workshop for reviewing the 2019-2021 plan and allocating the necessary budgets for this. This reflects the earnestness and willingness of the ministry to promote the principles of good governance. شملت ثلاث وزارات في القطاع الاجتماعي..